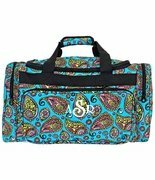 New this fall... Turquoise hoot owl duffle bag. 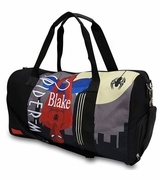 Head off to school in the latest fashion with this quality appliqued owl duffel. Quilted cotton construction, includes personalization. Add a matching owl lunch pal, search item SJ-1016-76A or a backpack item SJ-1001G-OWL. 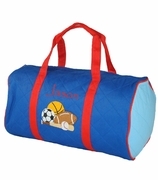 The hoot owl duffle measures 15"W x 11"H x 9" diameter, washable with zipper closure. 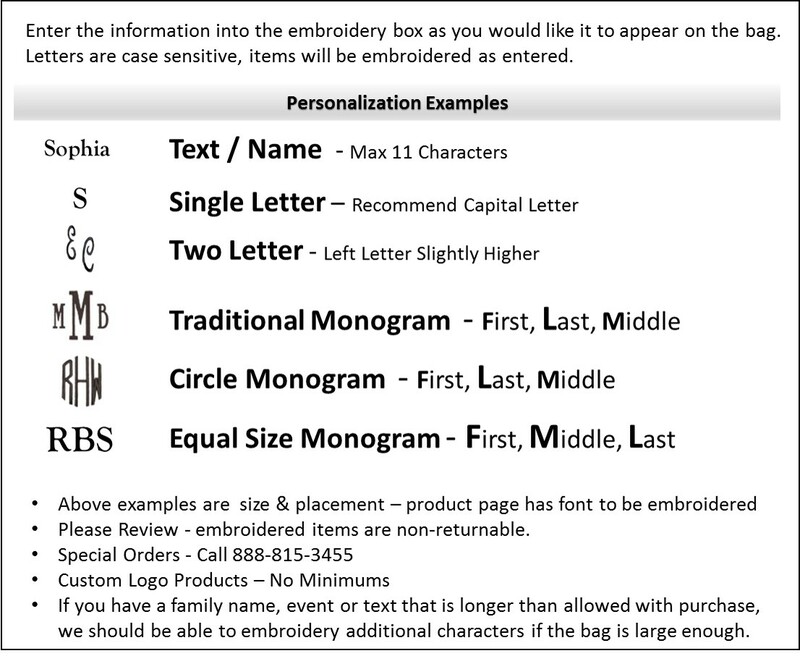 Three letter monogram sequence First Initial, Last Initial, Middle Initial enter into text box in that order.